Carboxypeptidase A1 is an enzyme involved in zymogen inhibition. Please note: the technical data reported below refers to the measured value in the in vitro validation assays. 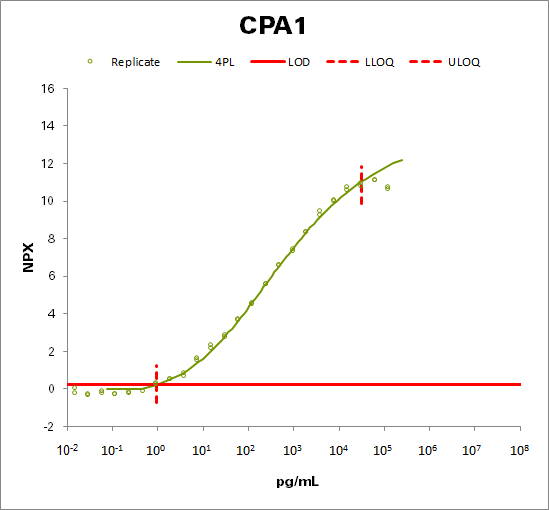 Since the CVD III panel uses human samples diluted 100-fold, a multiplication factor of 100 should be applied when comparing the addressable biological concentration to this validation data.